Paying over $100 million dollars to be able to use words like “The Games” and “Rio” in this year’s Olympics is only a price a big name official sponsor could afford. 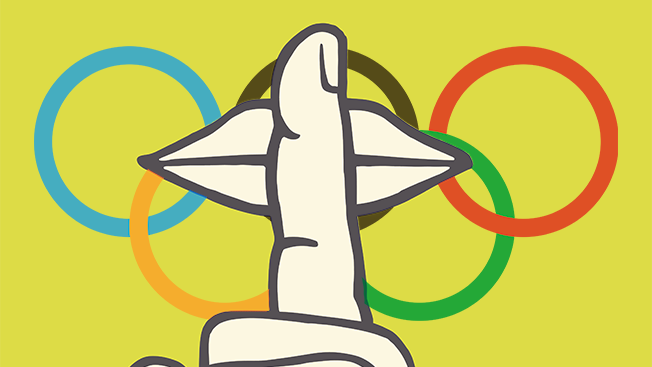 The Goliath’s of the world such as P&G, Visa and Samsung will be plastered all over our TV screens, but that isn’t stopping the David’s from developing creative tactics to ensure they emerge themselves into the vast opportunities the Olympics present for brands. Limited in the wording and imagery they can use, non-official sponsors aren’t able to promote their brand with any ties to the Olympics even being restricted from supporting and celebrating the athletes they sponsor. So is it worth the millions to take full advantage of the Olympics? Let’s take a look at the different approaches of two brands and see how they are either utilizing their exclusive access or working around restrictions. Brands are focusing more on universal appeal and cultural trends rather than shedding a spotlight on athletes, fans, or the products themselves. Big names like Procter & Gamble are putting more emphasis on human emotions rather than product attributes. In their latest Olympic Games commercial, “Strong,” P&G chose to use the Olympics platform and branding to promote their own brand and vast lineup of products without including a single one in the campaign. Using portrayals of athletes facing mind-altering events and then reaching their dreams of competing at the Olympics, P&G goes above and beyond to influence the viewer emotionally. Without blatantly pointing out the Olympics, the brand takes full advantage of their access to protected imagery. Not having access to the official Olympic imagery and terminology hasn’t stopped smaller brands from finding clever and creative ways to reach their audience. Skins, an Australian sportswear brand, has taken advantage of social media to exploit the Olympic sized restrictions by creating the (un)official “language of sport” through emojis and called it “Esportanto.” The campaign, created by BBD Perfect Storm agency, is an attempt to use sports and technology to transcend language barriers and create a universal way for fans from around the world to communicate during the Games. The brand is asking users to put together their own emoji posters throughout the weeks leading up to the Games and share them on social media to help create the “Esportanto” dictionary. Keeping with the theme of competition, the best posters will be rewarded with a free pair of Skins tights further enticing their audience to participate in the campaign.